This is a diamond engagement ring and wedding band that fit together. 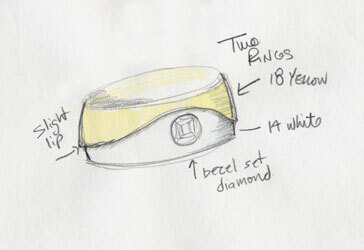 The yellow band is 18 karat yellow gold and the diamond ring is 14 karat white gold. 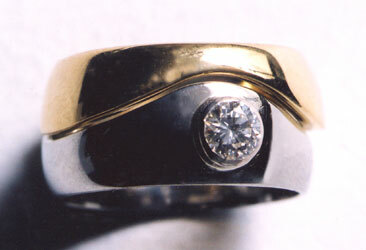 The rings can be worn seperately or together. Worn together, they appear as one, and worn separately they have a modern wave-like profile.